UGANDA is hoping to re-open a copper mine last operated in the Seventies under the leadership of dictator, Idi Amin Dada, said Reuters citing Evelyn Anite, the state minister for investment and privatisation who said 20 companies had expressed an interest. The Kilembe copper mine was abandoned nearly four decades ago by Canadian firm, Falconbridge. 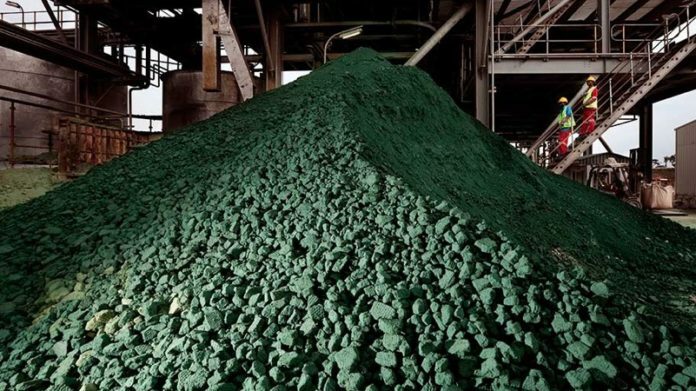 It is estimated to contain four million tonnes of ore. There have been previous attempts to reopen the mine; one of the last was a failed 2013 deal with a Chinese investor. Jennifer Hinton, director for East African operations at Canadian miner M2 Cobalt Corp, told Reuters it was one of the firms that had jointly expressed interest in the mine, along with partner Australia’s Jervois Mining. M2 already owns 2,400 square kilometres of exploration acreage in Uganda, some near the Kilembe Mines. “The Kilembe Mine was historically a significant copper producer, and the best place to find more copper is around a copper mine,” said Hinton. “With serious investment in the right modern exploration techniques we believe the potential for discovery of new deposits is high,” she told the newswire service. The ore in Kilembe mine is estimated to be 1.98% pure copper and 0.17% cobalt, Uganda’s Department of Geological Survey and Mines said.